Set it and forget it. 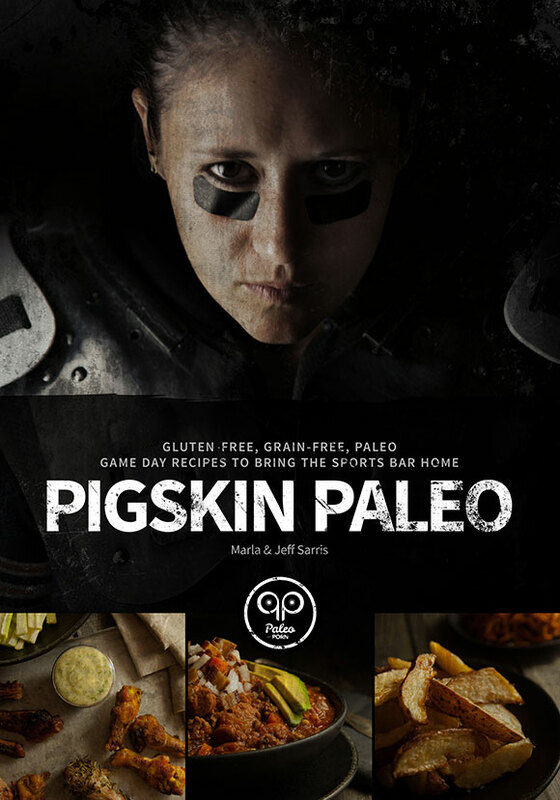 This recipe is so quick you can prepare it during halftime of the (insert your non-Packers team name here) game and you’ll have food ready before the 3rd quarter ends. 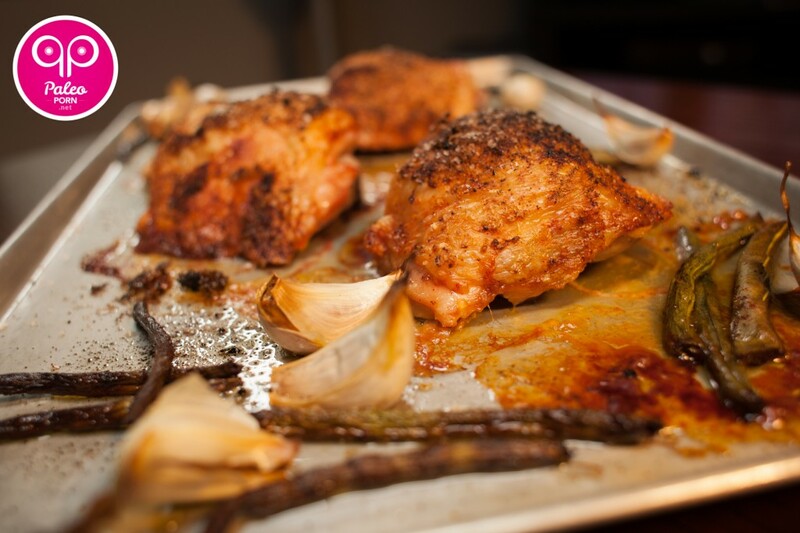 These Chipotle Paleo Chicken Thighs with roasted green beans and garlic makes for the perfect one-dish meal. 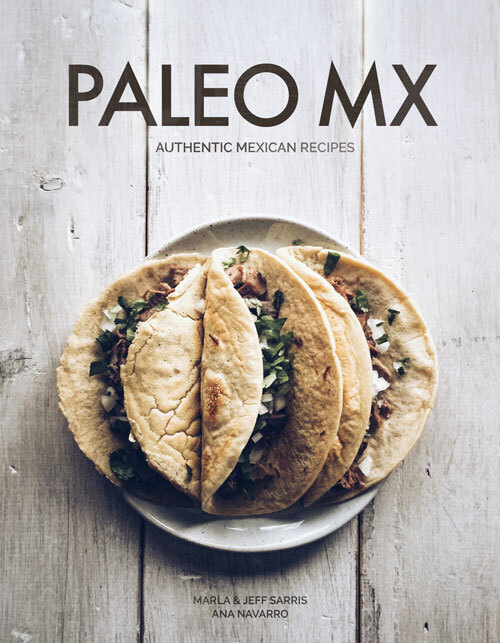 Typically I’m not a fan of posting recipes that have very specialized ingredients in them because I’d like for anyone who comes across my recipes to be able to get up and go to the kitchen and make them. However, this was so quick and easy plus delicious, I just had to share. 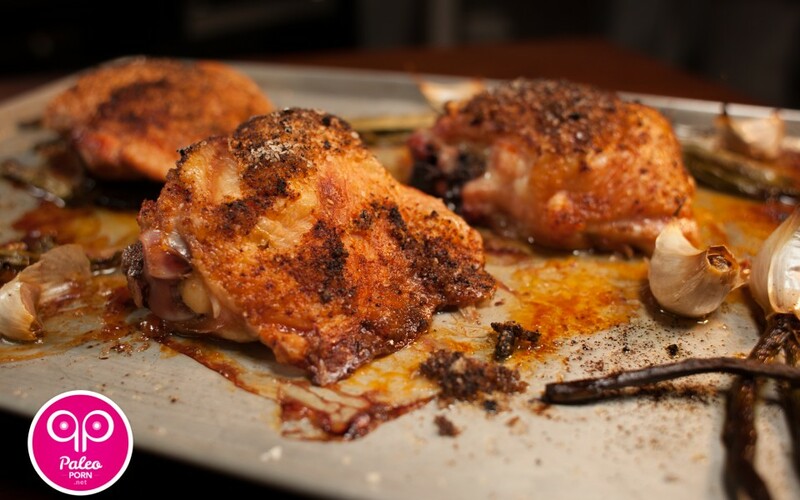 I seasoned these chicken thighs with chipotle salt but don’t you fret. 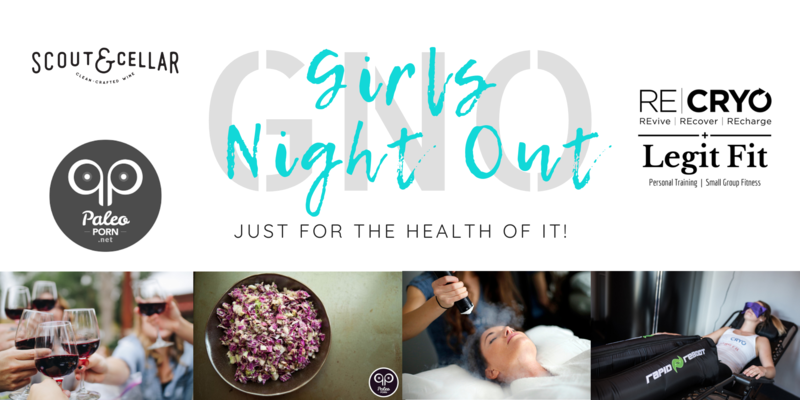 If you don’t have chipotle salt hanging around the pantry, just create your own using a mixture of cayenne pepper and sea salt. 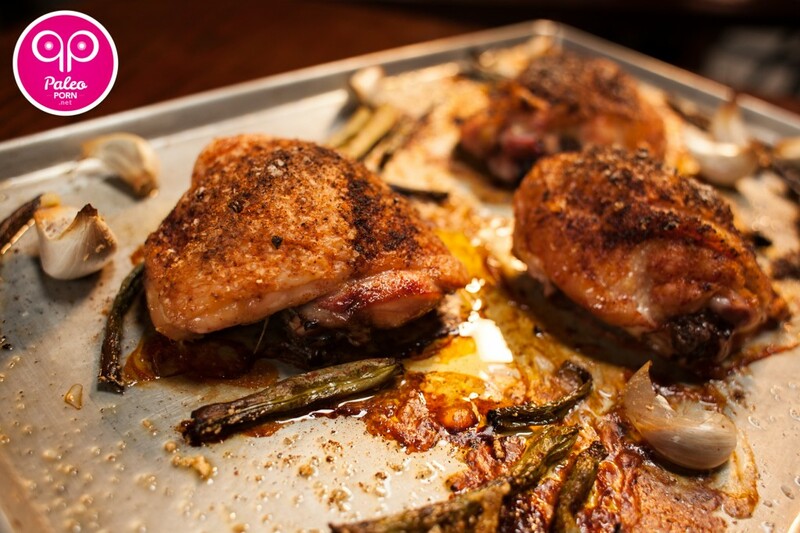 Place chicken thighs on a rimmed baking sheet. 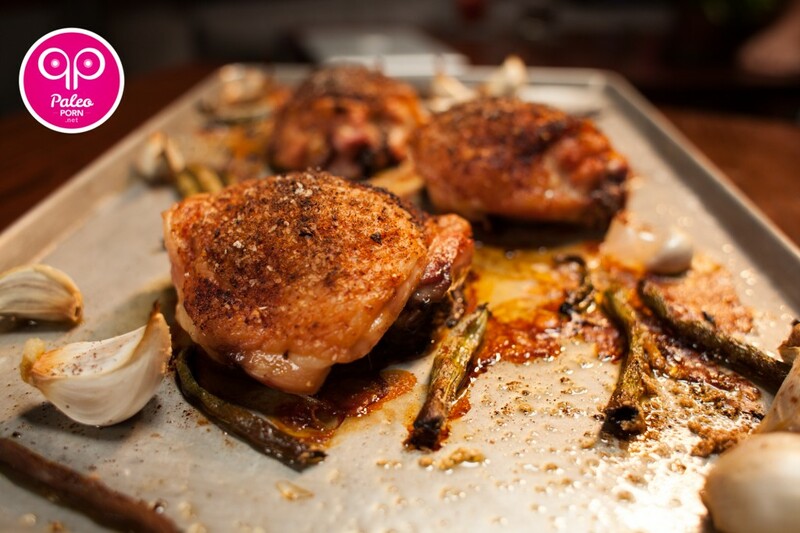 Cover the top of the chicken thighs with chipotle salt and paprika. 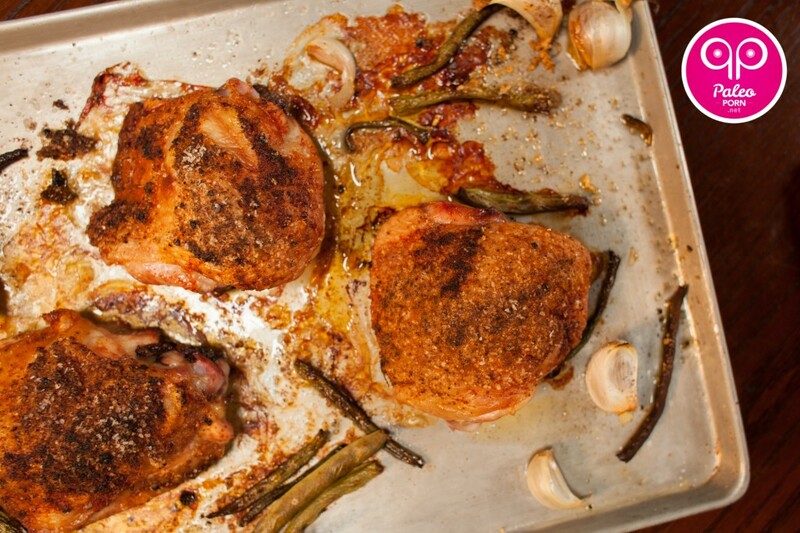 Lay green beans and whole garlic cloves along the sides of the chicken. Season with leftover paprika. Remove tray from oven and take the skins off the cloves of garlic. 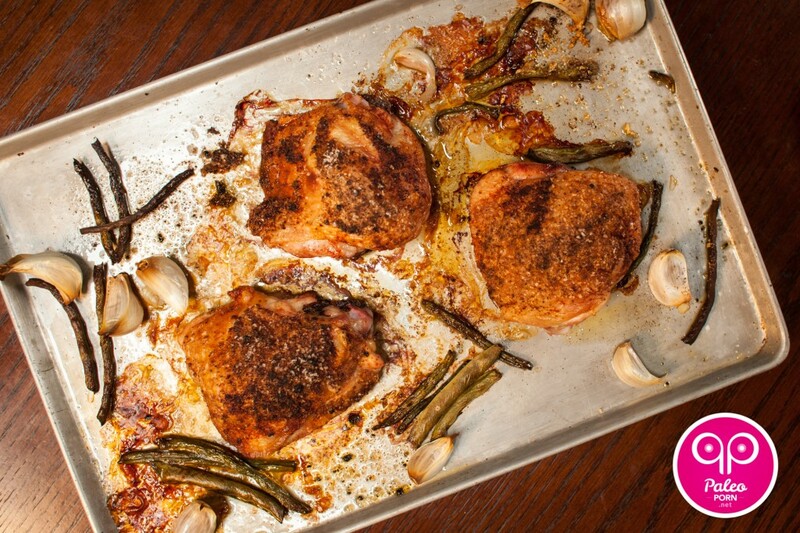 Plate chicken, green beans, roasted garlic (or just put down a hotplate and eat off the baking sheet) and serve.